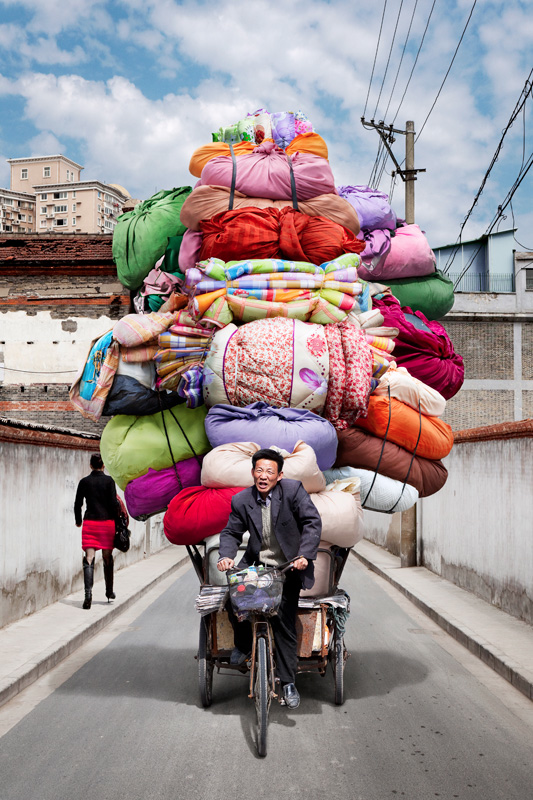 When I travel I always find it so funny to see what people bring on their bicycles. Especially in Asia you see big volumes of stuff wrapped around a bike. 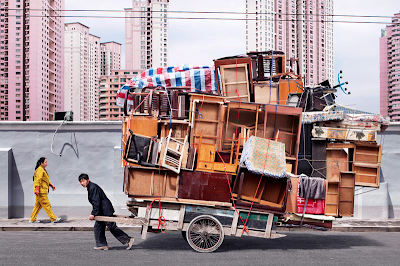 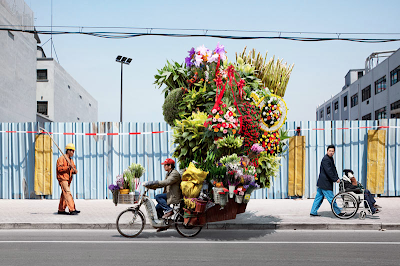 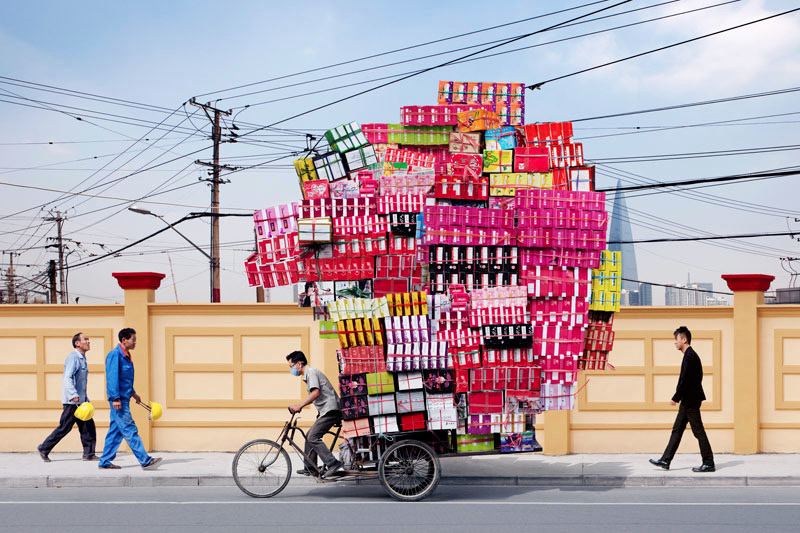 These photo's of photographer Alain Delorme, made me smile yesterday. The bright colours and the setting of the bike's are fantastic. 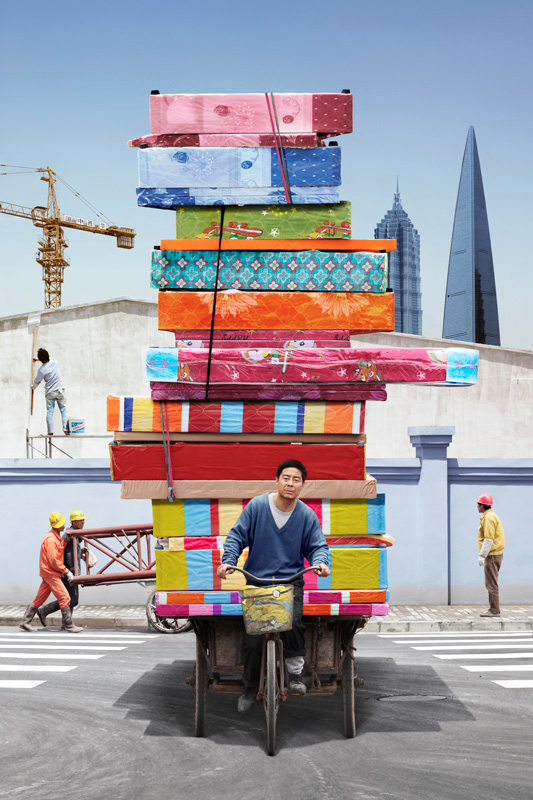 The Totems series plunges us into the core of contemporary China and its complexity. 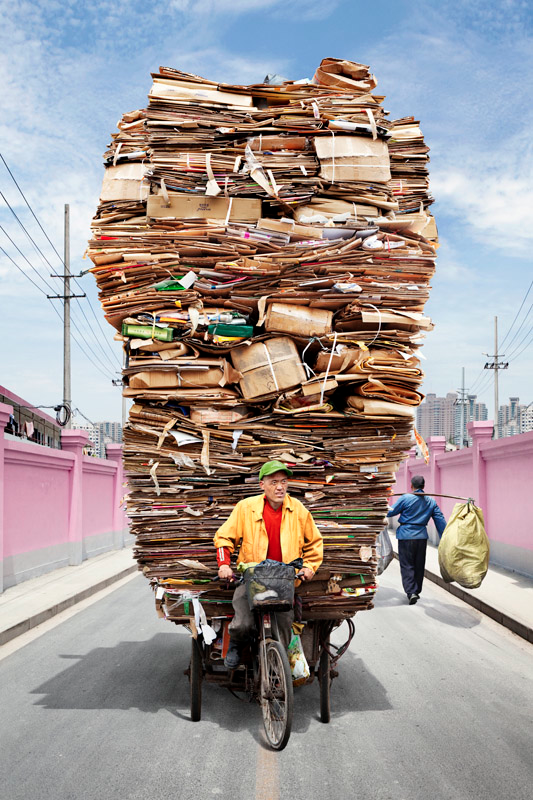 Under the blue sky of a highly colored Shanghai, men carry throughout the city unbelievable piles.